Today was the first day I have been able to get a halter on Blondie. 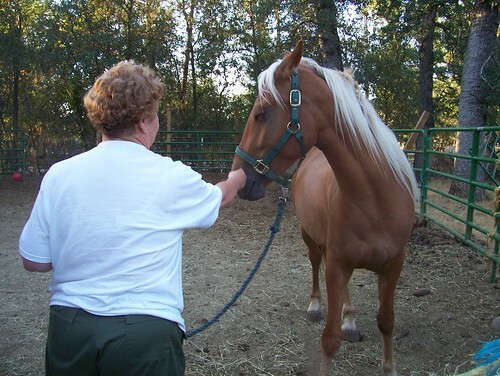 This evening I was able to hook the lead rope onto the halter. I'm leaving the halter and lead rope on her throughout the night and in the morning I am going to work on ground manners. We'll see how it goes.